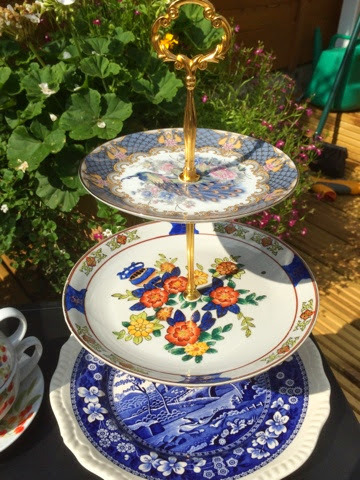 Just look at this beautiful vintage cake stand! Cost just a few quid to make and is totally unique and one of a kind. 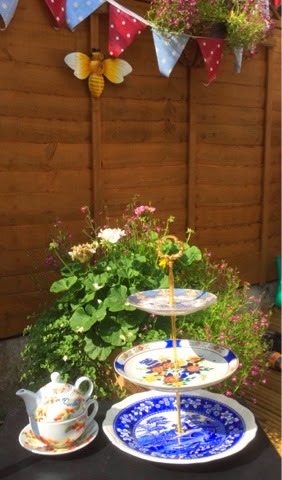 I made this for my friends birthday, it's going to look so perfect in her home, she loves very English pretty things and you can't get much English than afternoon tea and cake! I would very much love this present myself. I found these plates for £1 each in the charity shop. My dad kindly used his special drill to make some hole and then we just popped in the risers which you can find on eBay. Give the plates a good wash and job done! 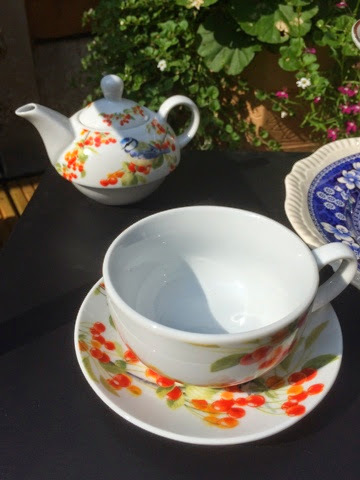 I teamed it with a pretty one cup teapot, cup & saucer which I found in bargain shop.